VOTE4WASH, a social campaign put in place by Connected Development a Non-Governmental Organization with the support of WaterAid International has reached an advance stage in Lagos with the signing of the VOTE4WASH campaign plegde cards by various political candidates contesting for executive and legislative positions in Lagos state. The pledge card which contains a statement of affirmation on the willingness of the signee to commit to the implementation of the Goal6 of the SDGs which is Water, Sanitation and Hygiene (WASH) will help in no small means to change the face of the water and sanitation system in Lagos. With a population of over 15 million inhabitants, Lagos have a major negative indices of inequality when it comes to provision of clean water and effective sanitation systems in the state. Despite promises of successive government in Lagos state, the state is yet to achieve total supply of clean water for its inhabitants which has made Lagosians to provide these necessary item of nature for themselves at exorbitant costs. The lack of effective waste disposal systems in Lagos unlike what obtains in developed city across the world has led to the proliferation of open defecation popularly known as “shot-put” which always find its way into the ocean and further contaminate the aquatic elements in our water body but this should change anytime soon. The candidate of the People’s Democratic Party (PDP) for Lagos East Senatorial District in Lagos, Princess Folashade Oyefusi while receiving the VOTE4WASH team appreciated the timeliness of the #VOTE4WASH campaign and the fact that we chose to make Lagos a beneficiary of the campaign. She also promised to prioritize the effective implementation of SDG6 in the Senatorial district after her electoral victory and also promise to incorporate CODE and WaterAid in her activities as a National Assembly member. 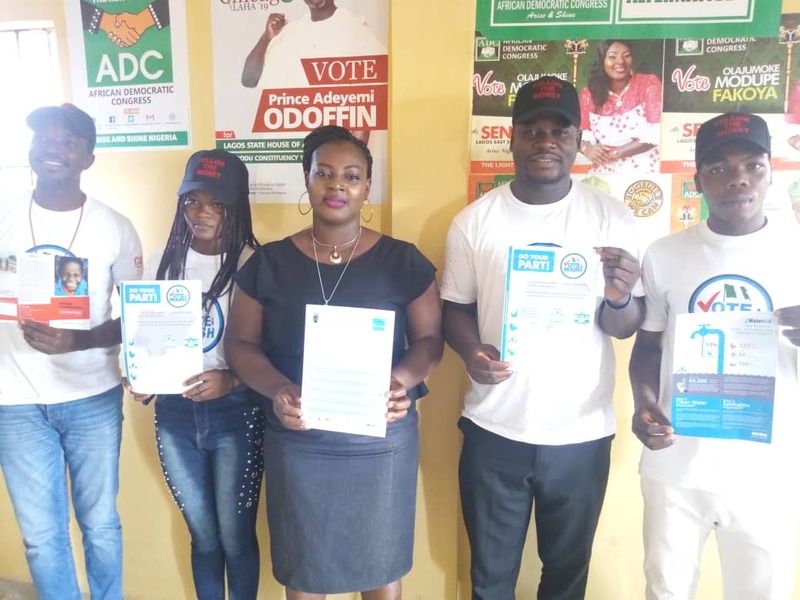 Other individuals that signed the Pledge Cards with promised commitment of the SDG6 in Lagos are the candidates for Ikorodu Constituency 1 and 2 of the ADC Mr. Adeyemi Odofin and Miss Islamiat Adeola Oyebanjo. 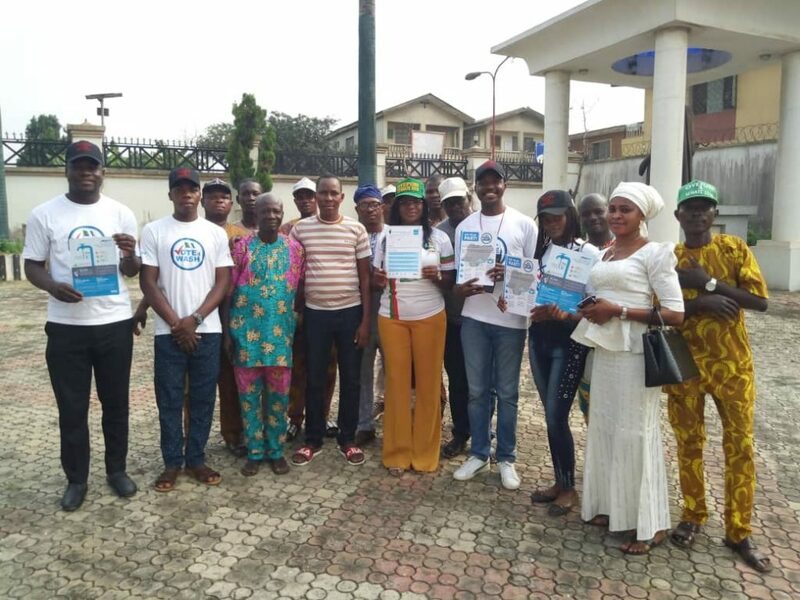 While speaking with Ynaija, Nwachukwu Ani described the campaign as need driven and solution focused one to seek to the implementation of SDG6 ahead of the 2030 deadline. 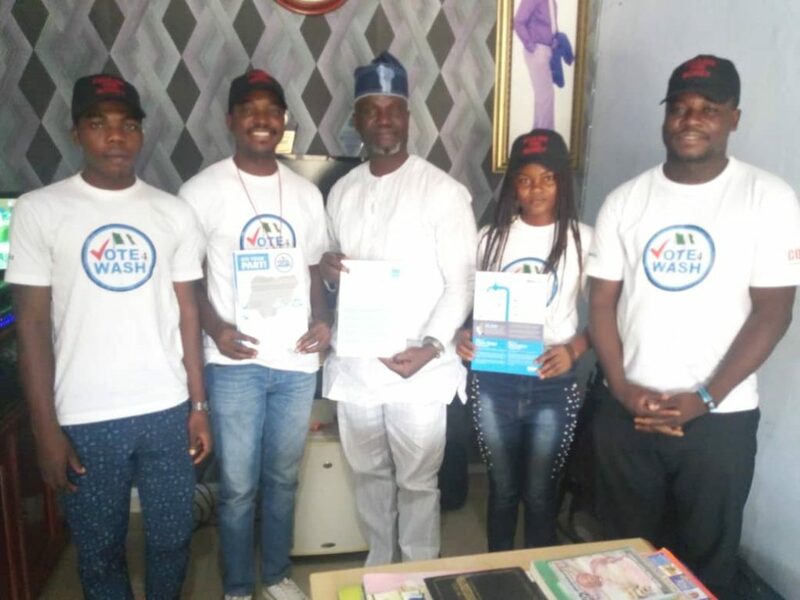 He was accompanied on the visits by Adesina Tosin Nathaniel, Lagos state Chapter Lead of Connected Development and VOTE4WASH Volunteer in Lagos. The signing of pledge cards continues with candidates of other political parties.